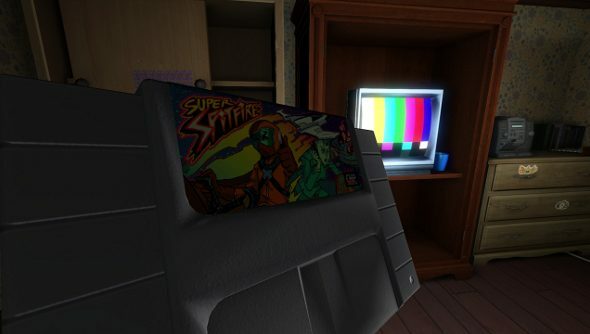 Everyone knows The Fullbright Company – creators of Gone Home – as Fullbright. So the developer has pulled a Cher, and is now officially just Fullbright. New name, a new logo too – what’s all this about then? Well, the changes come about at the same time as Fullbright’s announcement that it’s working on a new game, and it’s on the look out for a programmer and an animator. “Going forward we are simply Fullbright, and will be continuing our focus on creating immersive, unforgettable story exploration video games,” Steve Gaynor wrote on the Fullbright blog. With co-founder Johnnemann Nordhagen starting up his own studio, Dim Bulb games, the team is now Steve Gaynor, Karla Zimonja and Kate Craig and has now added Tynan Sylvestor, level designer from BioShock 2 and RimWorld creator, and Patrick Balthrop, who was audio designer on BioShock and audio director on Infinite. With the original team also coming from the likes of BioShock 2 and XCOM: Enemy Unknown, there’s a trend here. No details about the new game yet, but given the team’s penchant for storytelling, it’s likely to focus on that, just as in Gone Home.